Several of the North Escambia area’s best boys and girls senior basketball players will join players from Escambia, Santa Rosa, and Okaloosa counties in the 4th Annual Subway High School All-Star Basketball games tonight at Pensacola State College’s Hartselle Arena. The girls game begins at 5:00 with the boys game to follow. Tickets to the SUBWAY High School All-Star Game are $8 at the gate and $6 with a canned good item donation to the Manna Food Bank. One dollar from every ticket sale will be donated to the Alec Kessler Scholarship Foundation. The coaching staff for the west teams, comprised of Escambia County schools, consists of Tommy Williams from Catholic High School for the girls’ team and Robbin Alexander from Escambia High School leading the boys’ team. Okaloosa and Santa Rosa County Schools make up the east team. Greg Boozer from Navarre High School will lead the girls’ team while Fort Walton Beach’s John Lavin will coach the boys’ team. 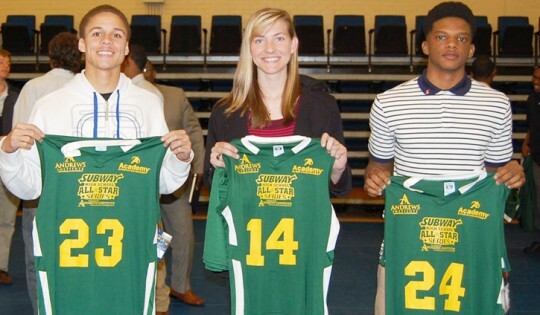 Pictured top: Northview All-Stars Neino Robinson, Danielle Steadham and Tony McAroy. 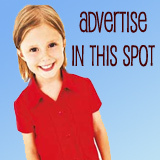 Photo for NorthEscambia.com, click to enlarge.